10) “The Big Post of Querying” by Kat Zhang on The Katacomb.. This particular post was in response to a question posed to Kat in regards to how she went about querying – which is a daunting task that I think all aspiring authors tend to get the heebe-jeebes about (I know I do). I love Kat’s honesty in her postings. It’s incredibly refreshing and it’s encouraging to hear that within two months of querying, she found herself an agent. I think I’ll be looking to follow some of the advice she gives here. I also couldn’t stop laughing at this twitter conversation she posted. Thanks, Kat…hope you survive the reenactments! 9) I’ve discovered a great writing blog: Miss Snark’s First Victim: A Blog for Aspiring Authors. This particular blog caught my eye as I was reading Kat Zhang’s post (see #10 above). The ‘Authoress’ is anonymous, but she holds monthly (except for June & December) “Secret Agent” contests (aka First Page Shooters) where aspiring authors can send in the first 250 words of their MS, and the Authoress will post 50 entries for comments from other writers and the ‘Secret Agent’. This particular blog is a 2009 winner of the Writer’s Digest 101 Best Websites for Writers, and I’m enjoying perusing through the first pages of other writers and learning from them on what works, and what doesn’t work. This is definitely one contest I may find myself entering once my current WIP is polished. 8) Susan (aka: Harry Potter for Writers) is now offering New Editorial Services! I guess I know who I’m going to seek a critique from when it comes time to start sending out queries. Believe me, I trust Susan to be completely open and honest when it comes to critiques on queries, synopsis, and first chapters. Her posts prove she’s got a knack for breaking down the writing and pointing out, not only the good sections, but the trouble sections as well. If I can make her want to read my MS with my query or synopsis, then I know I’ll get some requests from agents in the query process. 7) In conjunction with #9 in this post: “First Page Tips from the Pros” by Becca Puglisi on The Bookshelf Muse. Now, if you’re not following The Bookshelf Muse, then as a writer, you’re seriously missing out!! I literally spent about 5 hours so far this week perusing through their thesauruses again. I might as well take the time, paper and ink to just print every entry on emotions, character traits, settings and weather. Each one comes in handy during each stage of the writing process – especially editing. 6) “Conquering Writer’s Block – When the Writing Gets Tough, the Writer Gets Tougher” by Lydia Sharp on The Sharp Angle. There are no words…..literally. I just can’t come up with how this perfectly gives a behind-the-scenes look at the making of a novel. Jordan & Tadd: This routine, choreographed by the wonderfully talented Travis Wall – no, I don’t have a crush. He’s just THAT good! I looooved this piece. Intensely beautiful! Melanie & Marko: These two dancers were previously highlighted for their outstanding ‘statue dance’ a few weeks ago (if you haven’t seen it yet, here’s a link to that post). These two dancers have proved time and time again that they are the ones to beat in this competition, and once again, I had goosebumps!! The song they danced to, “Skin and Bones” by David J. Roch? Wow! That one has now been added to my writing playlist, and I have the perfect scene to run it on a loop to while editing! 4) “The Beauty of Books: Why The Literary vs. Genre Debate Isn’t Necessary” by Roni Loren of Fiction Groupie. Roni’s post on Wednesday, “How Fast Do You Have to Write to Build a Successful Career?”, moved a fellow blogger to comment, which then sparked into this wonderful post, opening the door to a great topic of discussion. Why don’t we let this one speak for itself, shall we? “The value and beauty of books is what they do for the reader. So if someone reads a literary memoir about the Holocaust and it makes them connect with the past and feel the anguish of what those people went through, that’s a powerful thing. However, if a woman is reading a romance in a hospital while she cares for her sick child and is able to escape from the current sadness in her own world, that is just as powerful in my opinion.” Right on, Roni! 3) “When a Character Won’t Cooperate” by Karen Essex, guest post on Writer Unboxed. Listening to your characters is one of the most important things you can do when you’re writing. Karen learned this the same way I did: wanting my MC to be a strong, no holds-barred, independent female from the get-go. But then Avalyn spoke: “Where could I go from there? Why would anyone be interested in me if I didn’t grow into that?” A-ha! *lightbulb dings over my head**initial opening scene chucked* Listen to your MC, Muse, or whatever you call it! You may not like what they have to say, but somehow, they know what’s right and wrong in their story! 2) “Should We Write To Trends?” by Lisa Gail Green on Paranormal Point of View. This is exactly why I love the writing community. Everyone is open and honest and THEY GET IT!! Especially Lisa. Just because dystopians are hot right now, does not mean I should start writing it. Why? 2 reasons: 1: It may not be hot in two years when the times comes for the book to hit the shelves, 2: It’s not what’s in my heart! What is? 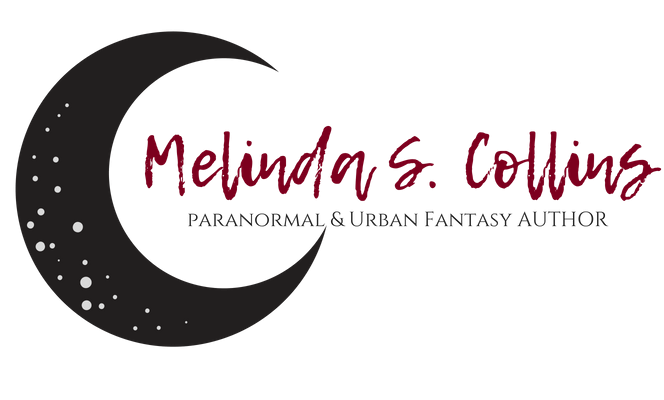 Paranormal Romance (PNR) and Urban Fantasy(UF). Those genres are what make me tick. I enjoy reading them (although I will also read other genres also…if they’re THAT good), thus I thoroughly enjoy writing them. It’s a world I’m comfortable in. I can lay it all out on the page when I’m writing in this genre. Thank you, Lisa! YOU ROCK! 1) Here’s a fun video that I hope you’ll enjoy as much as I did. It’s called ‘Plot Device’. Description: “A young filmmaker obtains a mysterious device that unleashed the full force of cinema on his front lawn.” Writers, readers and movie-lovers alike will enjoy this. I found myself cracking up a few times. It’s a little long (at 9 min), but well worth the time! By Melinda CollinsIn The Write StuffTagged #MyWANA, editing, muse, So You Think You Can Dance, week in favs, writing, writing playlist4 Comments on This Week In Favs………. Thanks so much for including my post! Glad it resonated with you. 🙂 Now I’m off to check out the rest of these links. Have a great weekend! Hope you have a great weekend also! WOOHOO! I rock! *does a dance* LOL, thanks for always being so sweet. Love the info you have here! These posts are getting better and better every week.